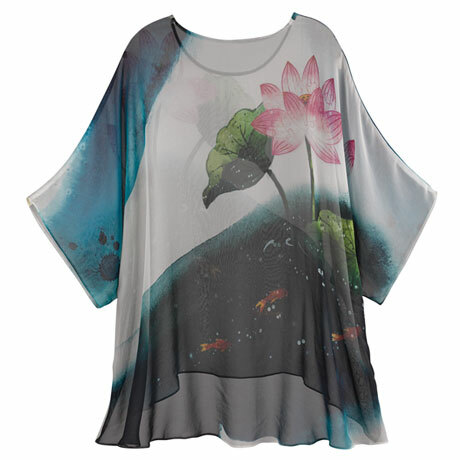 Golden koi swim serenely and pink lilies bloom on weightless, whisper-soft silk. 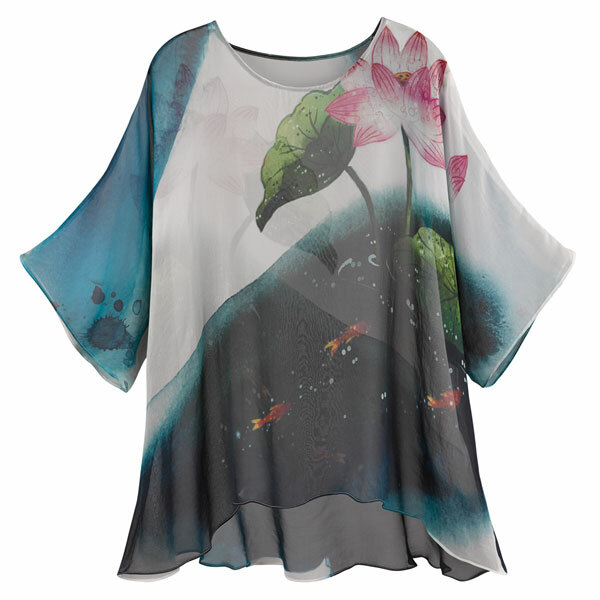 Sheer, floaty tunic has a ballet neck and ¾-length sleeves. Hangs 27" in front, 31" in back. Sizes S/M(6-10), L/XL(12-16). Hand wash. Imported.